Oahu may be better known for its awesome heavy tackle action, but few people realize the fly fishing Oahu has to offer is also outstanding. While the big game crowds rocket offshore in a cloud of diesel smoke, you can enjoy poling the shallows just a stone’s throw from town for monster Bonefish and GTs. 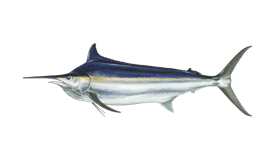 If that somehow isn’t enough for you, head further out to place flies for hungry Tuna and Billfish. The action here is enough to put even the most serious fly angler to the test. Simply put, it’s way too good to miss! There are plenty of small flats boats nestled among the offshore cruisers. Charter one of these anywhere on the island and you will be in for a day of pitched battles against hard-fighting fish on the flats. What you find will depend on where you go, but the action is outstanding all over Oahu. 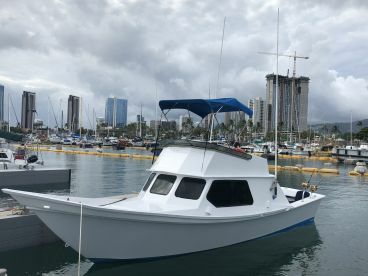 If you’re launching from Honolulu (and chances are, you will be) you won’t have to head as far as you’d think to find secluded flats. 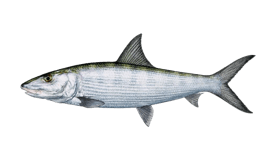 Ala Moana and Kahala are home to incredible numbers of Bonefish, which don’t seem to mind being right in the middle of town. Head round Diamond Head and you hit Kuliouou, another awesome Bonefishing spot. 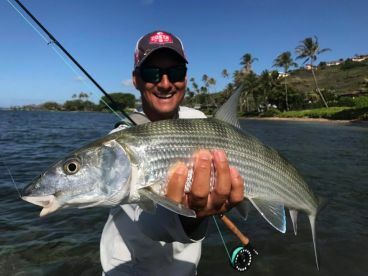 If you’re set on monster Bonefish (and we’re talking 10 to 15 pounds here) you may want to leave the hustle and bustle of Honolulu behind you and head for the legendary Kaneohe Bay. 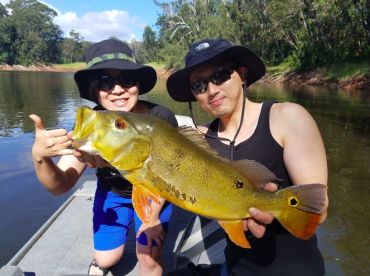 The whole bay is incredible for fly anglers, with plenty of GTs in its deeper reaches, too. The islet of Mokoli'i, colloquially named Chinaman’s Hat, is widely recognized as the best point in the bay. It’s well worth the trek north. So you want to get your hooks into something a little bigger? You’ve come to the right place! Head offshore from Oahu, and you’ll find monster fish hunting right on the surface around the FADs which surround the island. Tuna, Mahi Mahi, and even Billfish could be on the hit list for the ambitious fly anglers among you, so be sure to pack something a little heftier than an eight-weight! If you’re planning on sticking to the flats, bring a fast-action 7wt or 8wt rod. We’d recommend an 8wt for more fish control but it’s down to how much of a challenge you want. Count on using a good 150 yards of backing, with 15-pound tapered fluorocarbon leaders to ward against getting cut off on coral. Mantis shrimp and crab patterns work well, but many local guides use custom-tied flies which they find work best in their waters. Head offshore, and you will need much, much heavier gear, depending on what species you’re after. Think 14wt or even 16wt rods with the thickest tippets and the strongest backing you can find. 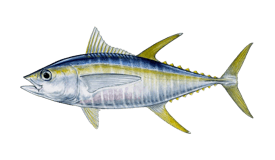 Even then, you’ll need more than an ounce of luck if you want to bring in Spearfish, Mahi Mahi, or Marlin on the fly. Captain Makali is. Great instructor. If you want to learn how to fly fish, he is the man!